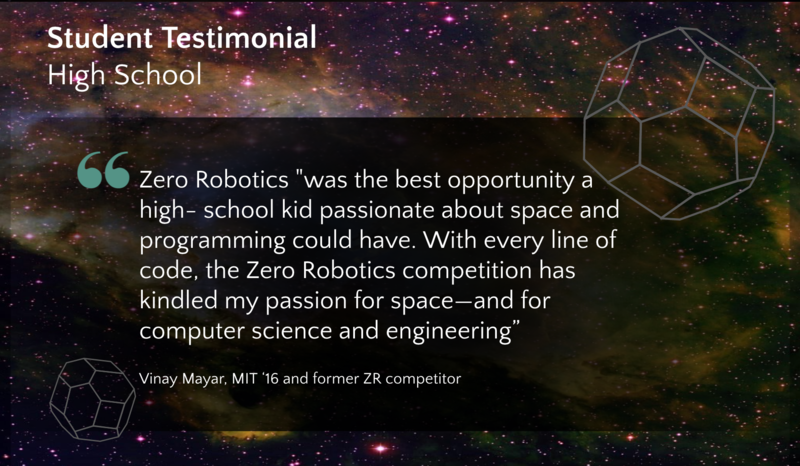 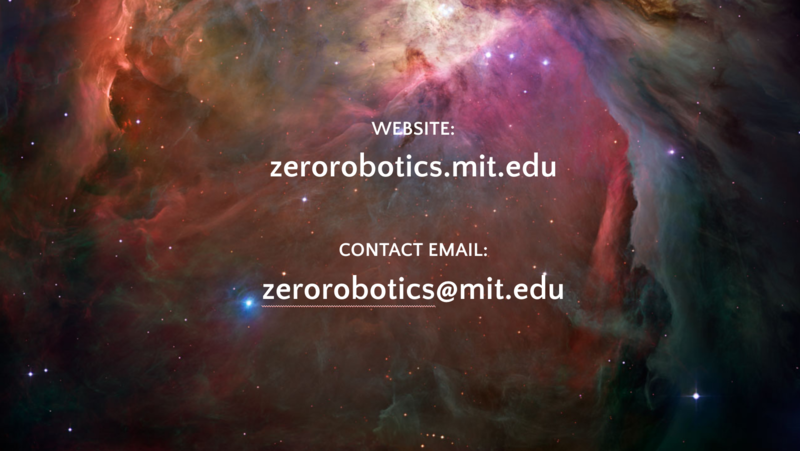 Zero Robotics was one of 6 programs of the Massachusetts Space Grant Summer of Innovation 2010 award. 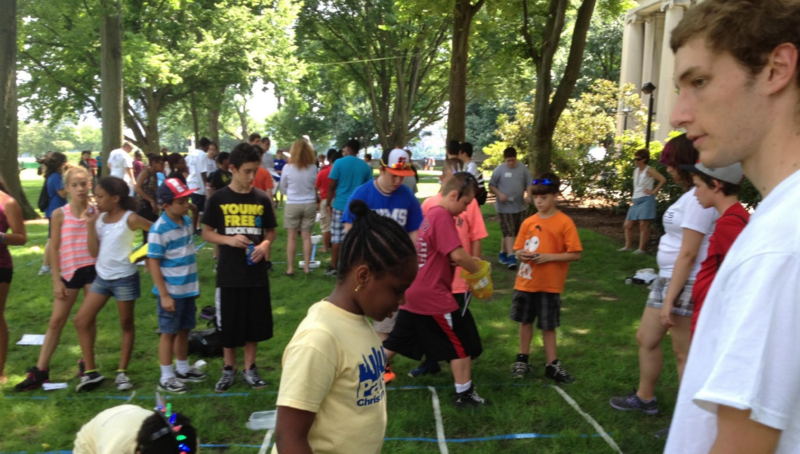 MAP recruited 20 teams to participate (from schools or after-school/summer programs), directly involving 200 middle school students and 20 teachers/mentors from across the state (View Map). 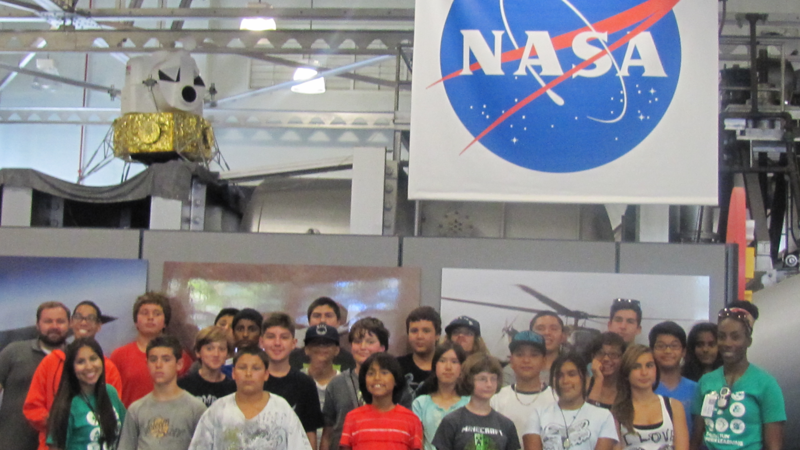 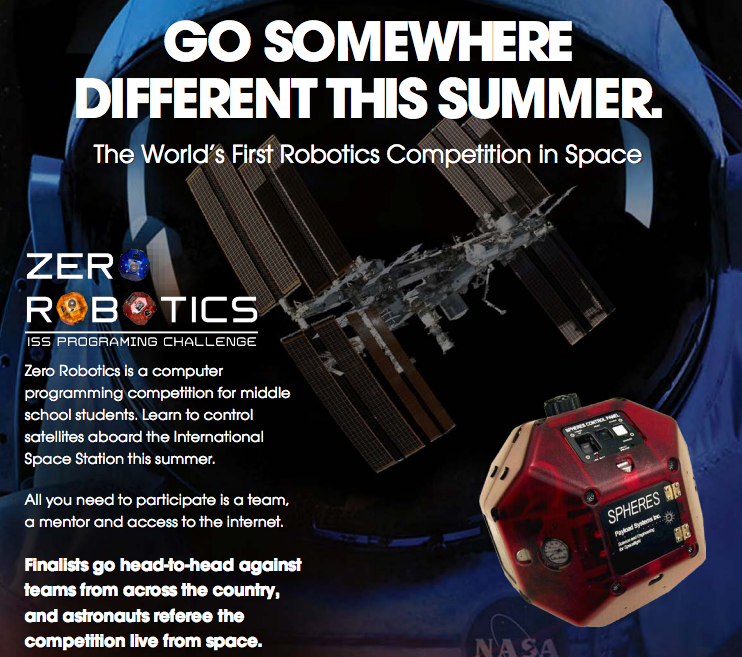 The 2010 Summer of Innovation Zero Robotics followed the same five-week schedule presented above: introduction to space, programming, live-game event, ground competition event, and ISS event. 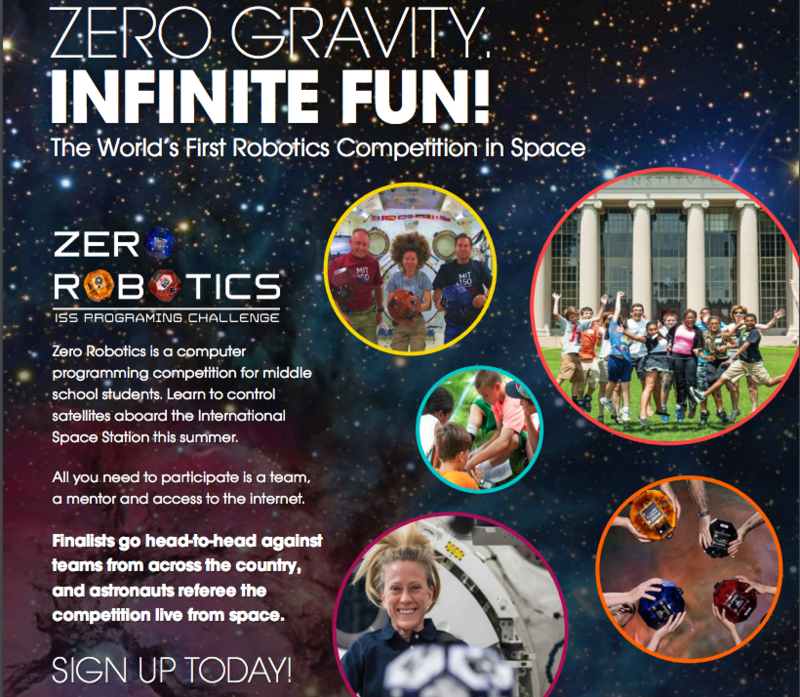 All 10 teams participated in the ISS finals. 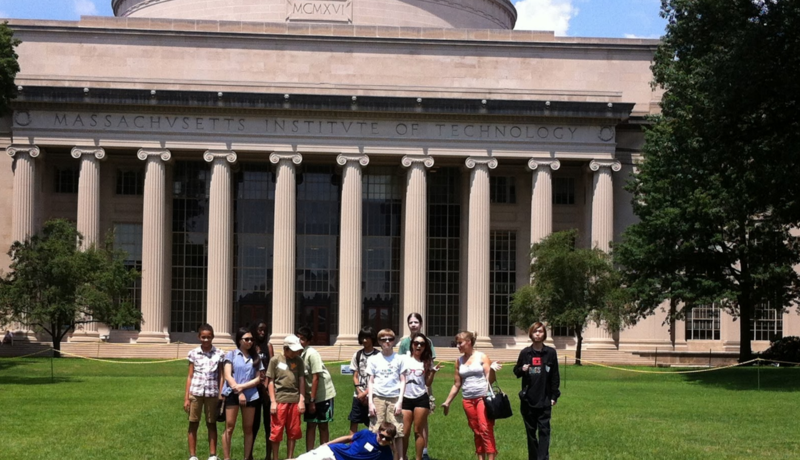 They were present at MIT to view the live telecast of the Finals test session from the ISS . 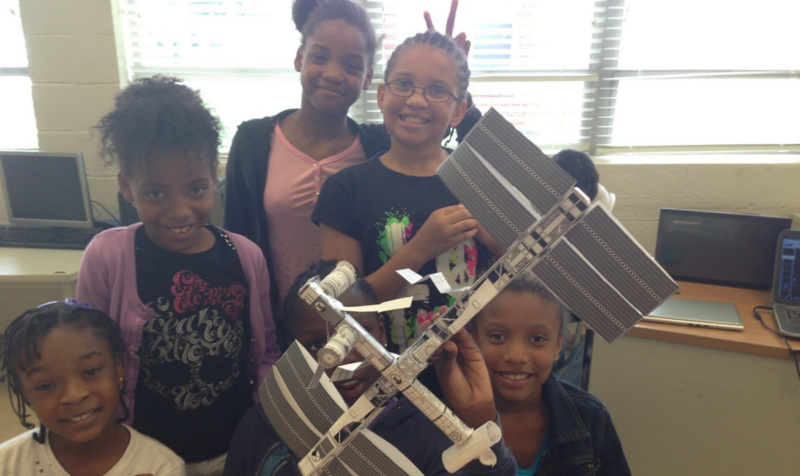 Images of students interacting with the ISS, such as these, served as extremely powerful examples of NASA's ability to attract and stimulate students and enhance STEM education. 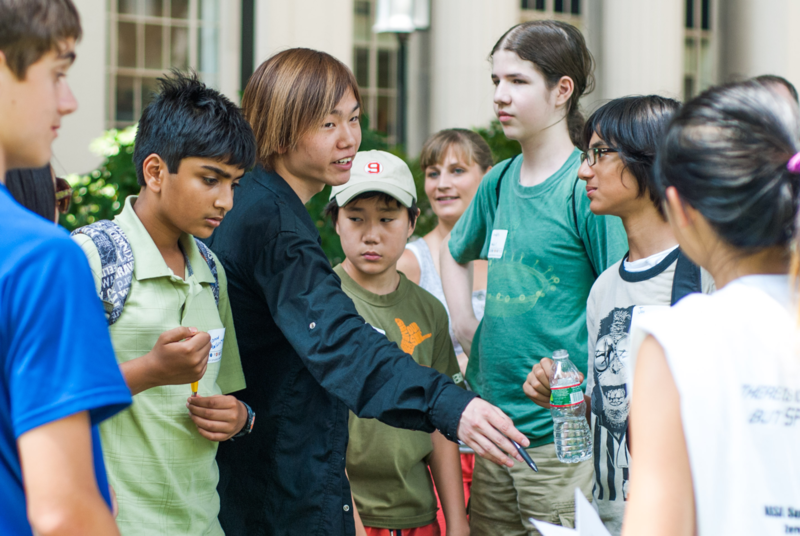 As computed from the feedback surveys, there were over 200 middle school participants from 10 schools across Massachusetts. 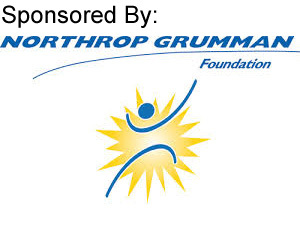 The demographic distribution was: 84% came from low-income families, 81% were African/African-American, Hispanic/Latino, Asian/Pacific Islander, or from other non-Caucasian ethnic groups (African/African-American 32%, Hispanic/Latino 37%, Asian/Pacific Islander 5%, Caucasian 19%, Other 7%), 54% were female and 75% came from low-performing school districts. 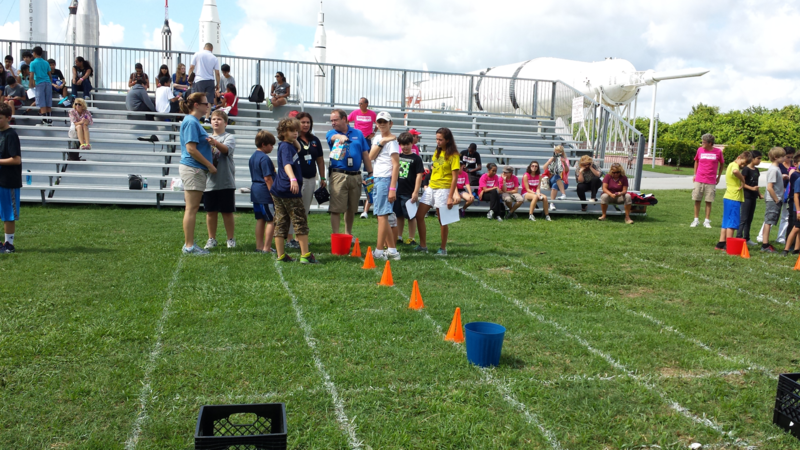 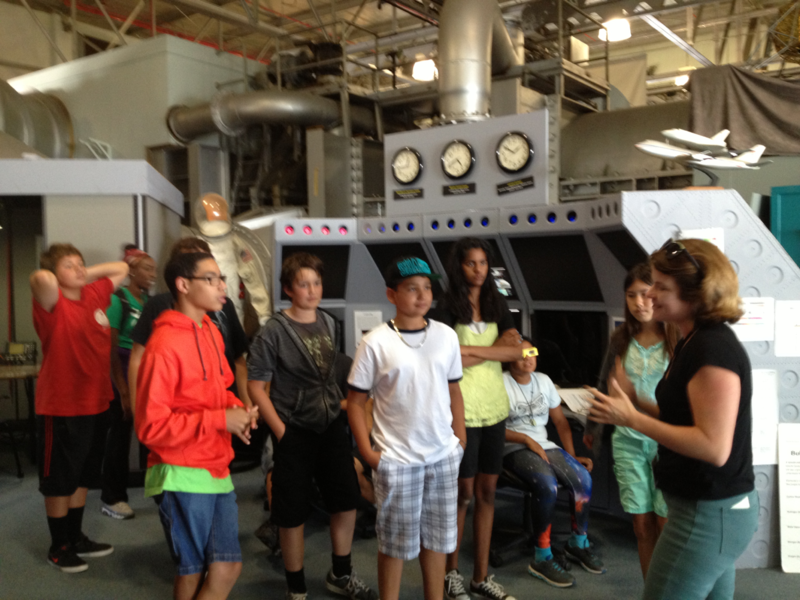 The youngest participant was a rising 4th grader and the oldest participants were rising 9th graders. 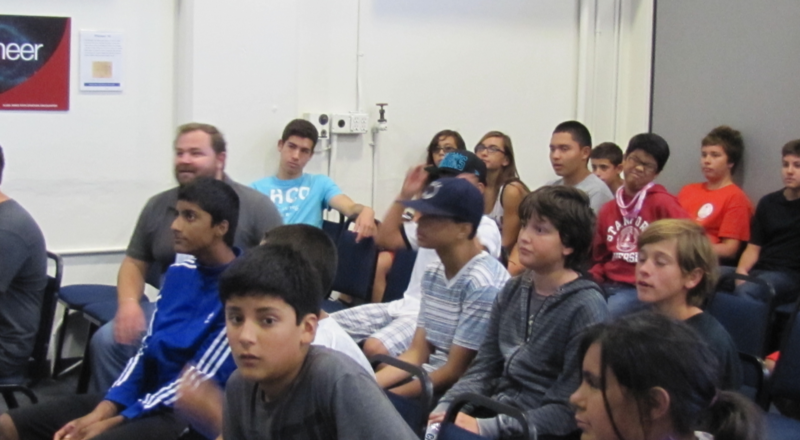 All ten programs had a retention rate of 88% or greater and a daily attendance rate of 90% or greater.